INDUSTRY.co.id - Jakarta, President Joko Widodo (Jokowi) admitted that he had signed a Presidential Regulation (Perpres) regarding the use of cigarette excise to cover the deficit of the Health Insurance Agency (BPJS) Health, because this is the mandate of the Law. "Yes, we have already issued it. The first, it is the mandate of the Law that 50 percent of the excise tax on cigarettes is used for matters relating to health services, "President Jokowi told reporters after inaugurating the pair of Governor and Deputy Governor of West Nusa Tenggara (NTB) period 2018-2023, at Istana Negara, Jakarta, Wednesday (19/9) afternoon. The President explained, the BPJS deficit must be closed so that health services for the community can be carried out as well as possible. For this reason, the President added, the government decided to close the BPJS deficit from the cigarette excise revenue. Regarding accountability, President Jokowi claimed to have ordered the Finance and Development Supervisory Agency (BPKP) to audit BPJS deficits. "This means that this is a procedure, accountability, everything has been passed," said the President. The President also ordered the Managing Director, the Board of Directors of BPJS to improve the system, both verifications, both the financial system, because it reaches from the center to the districts / cities, provinces throughout the country. "This is not an easy thing, how to control, how to monitor, claims from the hospital. Not something easy, "said the President, adding that he had experienced everything, from the scope of the city, there was also a Health Card. In the province, the President added, first in Jakarta, there was also a Jakarta Healthy Card. "It controls, verification of every hospital, is not easy. This is the whole country. This means that the improvement of the system must continue," explained the President. 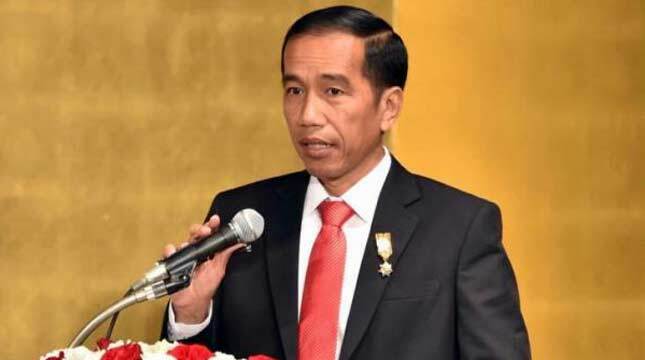 According to President Jokowi, the Law mandates 50 percent excise duty for health services. "That is what the regions receive too, for health services in the regions, not for central health services. That too has been through regional approval, "he concluded.